With a PayPal Business Account, you enjoy access to 240+ million more potential customers, along with a suite of management tools, invoicing options and payment methods. PayPal connects you to a world of borderless travel. With the latest and free travel cancellation protection, if you need to cancel your trip, you can enjoy up to HK$3,500 coverage. Freelancing? Do it with PayPal. Take your freelancing business global. PayPal works with the world’s top freelance marketplaces to open more opportunities and help you get paid faster, safer and easier. Shop the world with PayPal. If your order doesn’t match the seller’s description or doesn’t arrive, Our Buyer Protection policy will reimburse you for the full purchase price of the eligible item plus shipping costs. Link your local credit or debit card and continue earning reward points the same way you do when shopping offline. You don’t need to pay a transaction fee when you shop with PayPal. If it’s a different currency, a small conversion fee applies. Get great deals on global online stores and marketplaces. 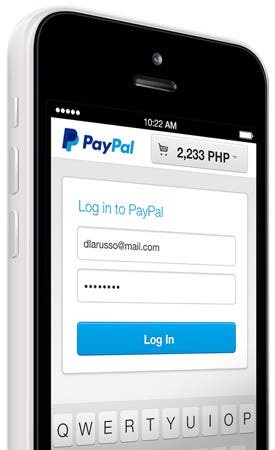 Check out with PayPal and complete your payment using only your email address and password. Transactions are handled securely and the online store never gets access to your details. Whether it’s monthly subscriptions, recurring bills or instalment plans, it’s a lot easier to keep track and manage your recurring payments with Automatic Payments. Want to get paid online? If you collect payments regularly, use a PayPal business account to customise payment solutions and get paid quickly. Join millions worldwide who shop with PayPal.